To celebrate the month of December I designed another Free Poinsettia block as a thank you gift to my readers and subscribers. Click HERE to download the free block. If you make four of these blocks you can put them together into a great holiday wall hanging, and now flowers to remember to water! You can still get the 2015 Free Poinsettia Block HERE. It was a big hit last year and several people send me pictures of projects they made from the block pattern. I hope you will do the same this year. I love seeing the way you make these patterns uniquely your own. This photo is from a sweat shirt a reader made last year. Don't you think it would look great with some holiday bling all over the center yellow? Hope you enjoy these two fun holiday quilt blocks. I know everyone loves a sale, and here is one just for those of you who love the Deco Garden Bonus Blocks I have been offering all year. A one-time opportunity to get them for Half Price during the month of November. Many of you have already taken advantage of this sale. Thank you! I so appreciate your continued support and good wishes. Here are a few more new blocks to tempt you. I hope you enjoy the blocks, and the savings. As always, if you send me a picture of a project you have made with one of these blocks, I will send you a free pattern for one of the new blocks of your choice. I grew up on a fruit farm in Northern Ohio and we had acres of concord grapes which we sold to Welches. In addition, my dad also grew a few acres of wine grapes and made his own wine. He supplied the wine for my wedding 33 years ago, a memory which always makes me smile when I think of my dad. I am not sure I have ever eaten a gooseberry, but I know they are really bitter and require quite a bit of sugar to make them palatable. But they do make great jam and pie! Click HERE to purchase these, and any of the other 36 Deco Garden Bonus Blocks. They are on sale only for the month of November! Coming soon! Watch for this pattern coming next week. This is one of my favorite spring blooming bulbs. I always planted a few in my yard. Last year when they replaced my front porch and sidewalk all my bulbs were dug up in the process and my gentle hyacinths were one of the victims. I am going to buy some more to replant this fall. My favorite is actually a bright pink hyacinth which bears my real name: Anne Marie. Yup, the secret is revealed! Reeze is a nickname I have used most of my life. Now I have to scour the bulb catalogs to see if I can find another Anne Marie Hyacinth. Anyone know where I can get one???? And just for fun, here is a pink hyacinth. I have had more fun designing these blocks. I thought you might enjoy a picture of all of them, well actually, this is most of them, not all, as they all wouldn't fit into 6 x 7 setting. But it is most of them. 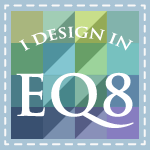 Want to be a quilt tester? My project for 2017 is to write a book featuring these and more Deco Garden blocks and a series of projects I am designing to go with them If you are interested in helping with this project by making a project which will be featured in the book, send me an email. I am lining up projects for the book this winter. You will receive a free pattern for the project. You will use your own fabric and keep the resulting project. All I ask is that you send it to me for photographing. You will receive credit for the project in the book, and a free copy when it is published. *Do you digitize? I would like to hire someone to digitize the files for me. If you are interested please contact me to work out details. There is much to be thankful for this year. I am especially thankful for you, my readers and supporters who hang out with me from time to time to see the new stuff I am designing and making each year. Last year I gave away a free Deco Garden block in December and I want to bring that back again for those who may not have been around and missed it. Click HERE to download the free block pattern. Click HERE to download the free block with the surrounding vine. Here are a few projects you could make with these blocks. 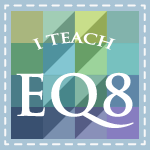 I hope you like the free block and have fun using it in a holiday project. Watch for more surprises coming next month. If you know me, you know I love 1930's reproduction fabrics. When my friend Barbara Eikmeier told me she was bringing out a line of 30's fabrics in conjunction with Paint Brush Studios I jumped for joy and immediately ordered fabric bundles and panels to sew and to sell. 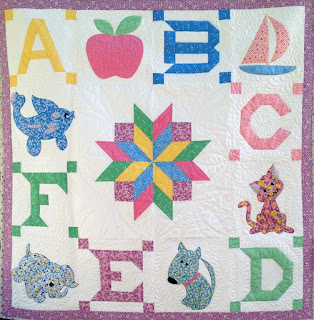 I had a quilt all lined up to make using 30's reproductions, a darling Alphabet baby quilt, and got to work on it right away using Barb's fabrics. I love how they coordinate with the Painter's Palette Solids (by Paint Brush Studio). The colors are so fresh and cheerful, and totally go together. So when Barb invited me to participate in the Ruby's Treasures Blog Hop it was a no brainer! Of course! I poured through the blocks in Ruby McKim’s book One Hundred and One Patchwork Patterns. It was really hard to pick just one. 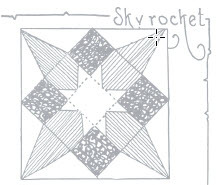 But I saw a block named Skyrocket and I was curious about what it looked like. What was Ruby imagining when she names a block after a rocket? This was 100 years ago, remember, and sky rockets were the stuff of science fiction back then. Here is the original pattern. The original was a 12" block made using templates (with no seam allowance I might add), and set-in seams were needed to add the outer triangles to the block. OH NO! While I am perfectly able to do set-in seams I didn't want to do 8 of them in one block (and I had two blocks to make, no less) so I redrafted the pattern in EQ7. The resulting block could be rotary cut, but the size and shape of the patches made that just as difficult as using templates. Fractional measurements and odd angles, Oh My! So I chose to do a paper piece blocks, and it was super easy to make. I wanted to do one with a dark background and one with a lighter background to emphasize the different looks achievable with this block. I printed my foundation pattern on tracing paper and selected my fabrics for each block. 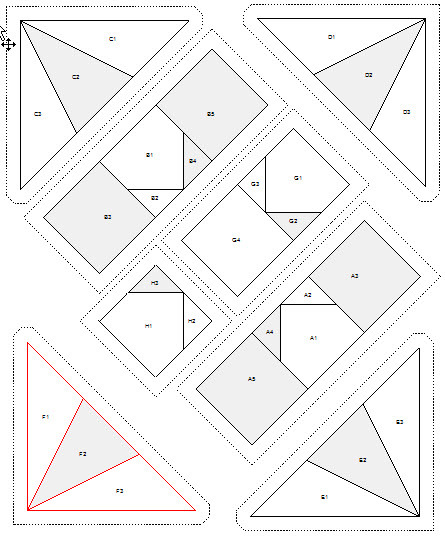 There are 8 section in each blocks and you need to paper piece each section first. Here is the layout for the foundation pattern. 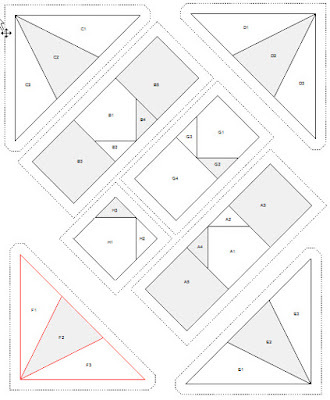 Click HERE to download the free paper foundation pattern for this block. NOTE: When you download and print the pattern measure the 1" square printed on each page. If it is not exactly 1" you may need to adjust your printer settings. I recommend pre-cutting patches for each section to speed up the process. I did this by making an extra copy of the foundation pattern and cutting it apart. I used each shape to create a template, and added 1/2" to all sides of the template. Once I cut the first patch I stacked it on a folded piece of fabric to get the rest of the pieces. Here is a cutting list to help you get started. These measurements have the extra amount needed to foundation piece added in. This is for the block with the green background. Cut the foundation pattern pages into sections. There should be 4 corner sections and 4 sections to make up the 9-patch center. If you a novice paper piecer you may want to watch one of the many great video tutorials available on U-Tube. Reduce the stitch length on your machine to 2.0 or shorten it to a setting smaller than normal. Thread your machine with 50 or 60 wt top thread and a light weight bobbin thread in the bobbin. Use a quarter inch presser foot and a 1/4 seam guide (a strip of tape works well) on your machine bed. In foundation piecing the fabric is always placed right side up on the UNPRINTED side of the pattern, and you sew on the PRINTED side of the pattern. Pin the yellow cone shaped patch to the middle of the corner section, adjusting it so that there is about 1/4" seam beyond one of the lines. Trim if necessary. Then place the green triangle shaped patch on top of the yellow patch, right sides together. Do a "test flip" to be sure that when the green patch is opened out that it completely covers the area AND seam allowance of the area it is to cover. Sew on the line joining the two patches. Start about 1/4" before the line and sew 1/4" beyond the line to secure the ends of the seam. Remove the pin and press the green patch open. Be sure it cover the area completely. To trim the other side of the yellow patch, fold the paper pattern back on the stitching line. Use an Add-A-Quarter Ruler (pictured) or a regular ruler to trim the yellow fabric 1/4" beyond the stitching line. The Add-A-Quarter Ruler has a raised 1/4" edge which is butted up against the fold line to precisely cut 1/4" seam allowance. It is a great tool and not expensive. After you trim off the excess yellow fabric fold the paper back out flat. Position the other green triangle patch right sides together on the yellow patch. Do a test flip - like you did before - to be sure the patch is positioned right then carefully turn the pattern over and sew the seam on the printed side of the pattern. Flip the green fabric open and press. Turn the foundation pattern over and trim on the cutting lines. Be sure to trim the corners of the triangles on the cutting lines. Turn over and press the completed section. You will need to make 4 of these corner units. Foundation piece the four center section in the same manner. They are easier to do because they do not have wonky triangles like these corner sections. Join the two center section to make the yellow star center. Sew the two side sections to the center section to complete the nine-patch star. See the foundation pattern for instruction in how to join one section to another. Add the corner sections, matching seam lines and corners. Press seams open. Sew the two opposite corners on first, then add the other two corners. Press well after each corner is added. Remove the paper from the seam allowances if it feels too bulky. Here is the completed block. Once you get the hang of paper piecing it goes very quickly, and you can actually chain piece sections to speed up the process. Here is the second block with the light yellow background. In this block I added an extra star point in green to give it the look of a friendship star in the middle. Let me know which version you prefer in the Comments. If you leave a comment you will be entered in my giveaway for a free pattern. Remember that ABC Baby Quilt I mentioned in the introduction? The pattern will be published in The Quilt Pattern Magazine in 7 segments from January to July 2017. 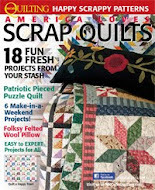 I will choose one comment at random to win a 1 year subscription to TQPM so you will get all 7 installments of the ABC quilt. Here is a sneak peek of the quilt pattern you could win. Don’t forget, if you haven’t already been to the Inspired by Fabric blog, hop on over there, sign up to follow (if you don’t already) and leave a comment there as well– they’re giving away fat quarter bundles of Ruby’s Treasures! Here’s the schedule for the rest of the hop. 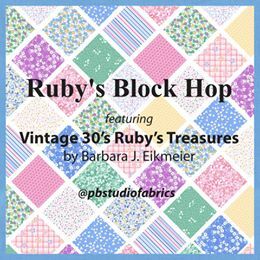 Stop by Barb’s blog each day as well, as she’ll be sharing more about Ruby and the fabric collection she inspired. Thanks for hopping by! Be sure to leave a comment to be entered in the giveaway! Just got back from Quilt Market and it was so much fun. My brain is fried. I need to get back into my daily rhythm of designing, sewing, and managing my media which has all taken a back seat to Market preparations for the last month. My travel schedule for the year is nearly over and while I have a few weeks of rest and relaxation scheduled, I am also busy designing more Deco Gardens Bonus Blocks. Sheesh, wish I could stop doing these, but each time I do a new one I get inspiration for 4 new ones. on all Deco Garden Bonus Blocks. Let me know if you have a better name for this block and I will send you the pattern for free. To see these and all the other Deco Garden Blocks on Sale CLICK HERE. And Thanks to all my readers and subscribers. You Rock!